The five species of wild BC salmon can be found in the North Pacific Ocean, Bering Strait, south-western Beaufort Sea and surrounding fresh waters. They are also found in an estimated 1,300 to 1,500 rivers and streams in BC and Yukon; notably the Skeena River and Nass River in northern BC, and the Fraser River in the south and its tributaries that account for about 75% of the total number of salmon. Accordingly, BC’s commercial salmon fishermen fish for wild BC salmon in the Pacific Ocean and in the rivers of British Columbia, Canada. 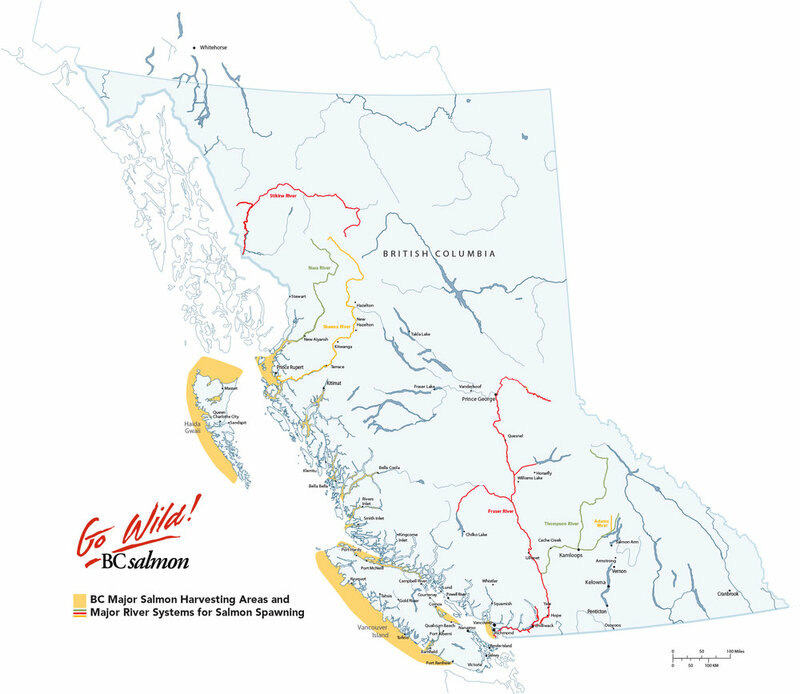 To ensure sustainable fishing practices, the entire BC coastline and also rivers have been mapped and divided into clearly defined and labelled fishing areas. Each year, the Department of Fisheries and Oceans’ Integrated Fisheries Management Plan clearly outlines the fishing areas that can be fished, when and by which gear type in that given year.